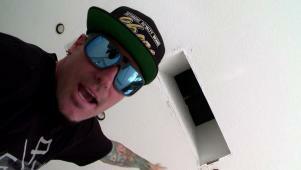 Before any work can start inside Rob (aka Vanilla Ice) has to fix the roof. But it's no easy task. He and the crew tear the dilapidated roof off the house and replace it with an epic hurricane-proof masterpiece, complete with an observation deck.